Team FinditParts is proud to announce our sponsorship of 88-Mike and the Powershift Performance team in the Meritor Champ Truck Series! 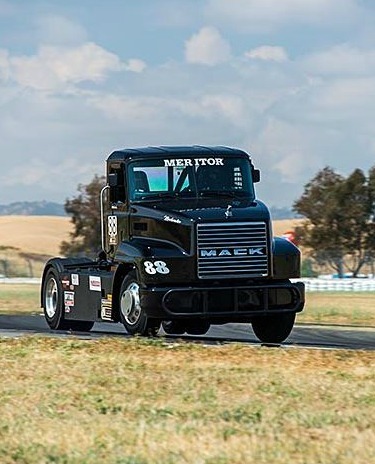 Truck #88, the “Mackvader” is driven by “88-Mike” Mike Morgan, who has placed first and second in two of the three Meritor Champ Truck Races that have taken place earlier this year. The decision to sponsor Mike in the Meritor Champ Truck Series was a no brainer for us here at FinditParts – the dedication to his craft, hard work commitment to success make him the perfect brand ambassador for FIP. He’s a Mack Master Tech by day, a race enthusiast by night and has had a lifelong dream of one day racing big rigs. That dream came true this year when Meritor announced they’d be bringing back big rig racing via the Meritor Champ Truck Series which would consist of ten races across the United States. Upon hearing the announcement, Mike knew he wanted in. 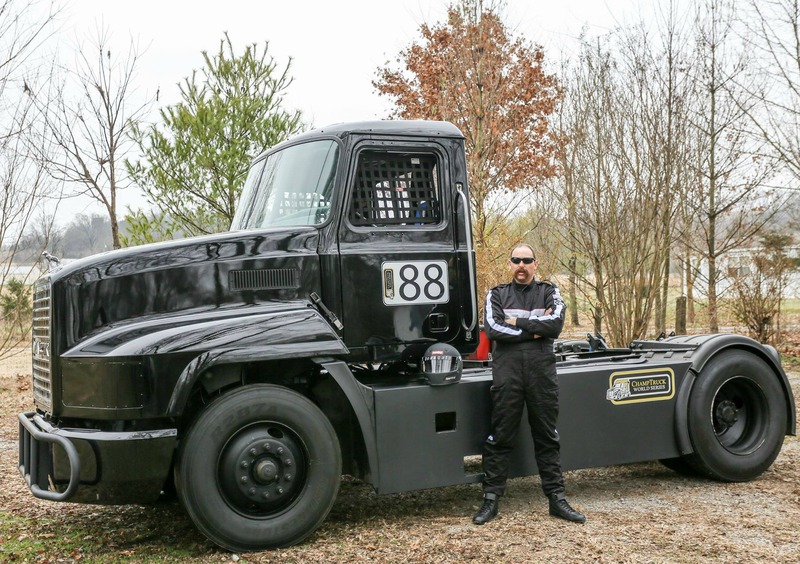 Mike’s passion for the sport is apparent in the dedication and hard work he has poured into building his Class 8 truck, the Mackvader, from the ground up. The truck cab and front end are from a 1999 Mack CH and features a Mack MP7 electronically controlled engine; he’s also a variety of ECMs piggybacked on each other for optimum performance and will be sporting Meritor brake components for the remainder of the racing season. Mike’s love of racing was stoked at an early age – growing up, he drag raced and worked on his Uncle’s pit crew. He met his wife during his days drag racing, and continues the family tradition by having his son Mikey help him build his rig. His pit crew is comprised of his wife, son and longtime friend Matt Kuhn, also a Mack Master Tech, who serves as Crew Chief. Mike cites his family’s support as the top contributor to the team’s success. Race enthusiasts will be glad to know that you can root on 88-Mike and the Powershift Performance team in the next Meritor Champ Truck Series race, which takes place July 2 – July 4th at the Charlotte Motor Speedway. It promises to bring some seriously fast paced, wheel to wheel, gear-jammin’ action that you don’t want to miss. For instant updates and to keep up with 88-Mike and the Mackvader, be sure to follow them on Facebook. You can also follow FIP for exclusive coupon codes, promotions and a bit of truck talk. 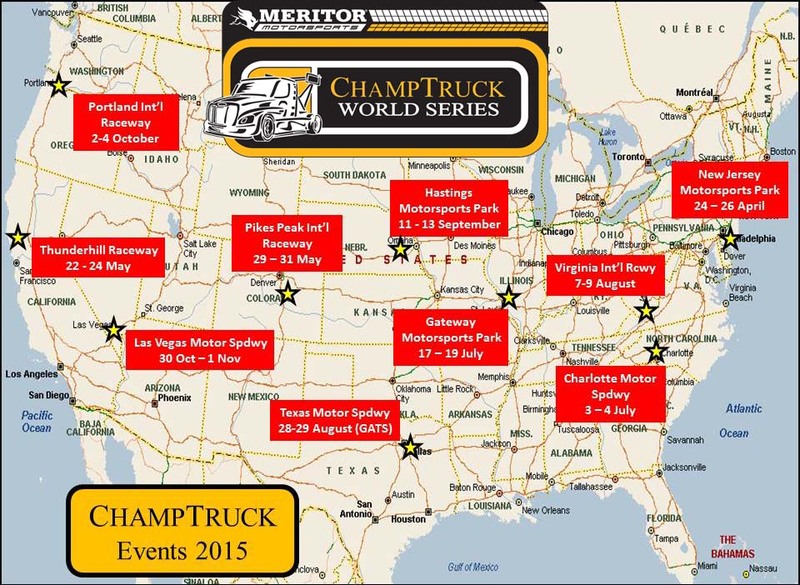 For complete Meritor Champ Truck Series race dates, locations and ticket information visit the Champ Truck website.